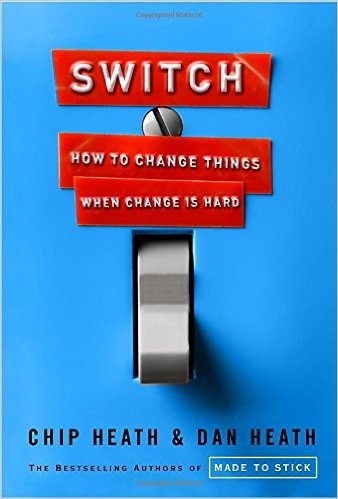 Switch: How to Change Things When Change is Hard by Chip and Dan Heath deals this one of the most important topics faced by any leader and everyone else. They believe that the primary obstacle comes from conflict built into our brains. They explore this conflict between our rational brain and our emotional brain that compete for control. 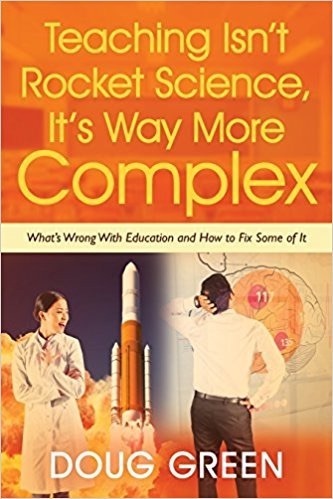 This book will help your two minds work together. It draws on decades of research from multiple fields to shed new light on how you can effect transformative change. Discover the pattern they have found and use it to your advantage. Click below to purchase this important book. Chip Heath is a professor at the Graduate School of Business at Stanford University. Dan Heath is a senior fellow at Duke University’s Center for the Advancement of Social Entrepreneurship (CASE). They are the authors of the bestseller Made to Stick and a new book Decisive: How to Make Better Choices in Life and Work also summarized here. I just added a summery of thier 2018 book The Power of Moments. All change efforts have something in common: For anything to change, someone has to start acting differently. All change effort boils down to the same mission: Can you get people to start behaving a new way? First surprise: What looks like a people problem is often a situation problem. To change someone’s behavior, you’ve got to change that person’s situation. Human brains have their emotional side and their rational side. You can think of the two sides as the planner (rational) and the doer (emotional). In this book, the Heaths use an analogy they borrowed from Jonathan Haidt in his book The Happiness Hypothesis. Here, the emotional side is the Elephant and the rational side is the Rider. When the two sides disagree, the six-ton Elephant is going to win. If you want to change things you need to appeal to both the Rider and the Elephant. The Rider does the planning and the Elephant provides the energy. The Rider provides the direction, the Elephant provides the passion. This entry was posted on Friday, January 25th, 2013 at 6:57 am	and is filed under Book Summaries, Business Books, Education Books, Leadership Books. You can follow any responses to this entry through the RSS 2.0 feed. You can leave a response, or trackback from your own site. This is such a great tool – not only for optimizing your webtise, but also for choosing words to use in your small business brand, talk titles and so much more. It’sa eve great for brainstorming!Erin recently posted..